Breakfast Buffet All Incl. Cont. All Incl. Lunch Buffet All Incl. Plated All Incl. Dinner Buffet All Incl. Plated All Incl. The Westin Golf Resort & Spa, Playa Conchal opened in May 2011 as the first all-inclusive resort in Westin's global family. 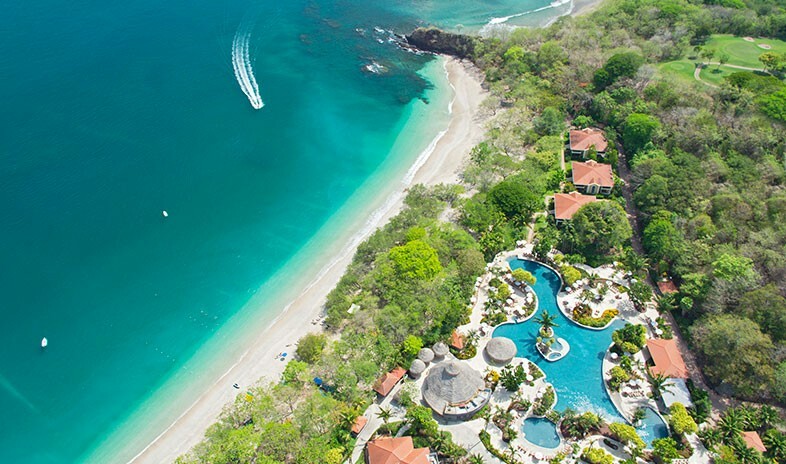 It extends over 2,400 acres of tropical forest near the north end of Costa Rica's Pacific coast. Ideal for incentive groups and motivational meetings, the 406-room property presents a vast menu of beachside activities, eight dining options, five bars, and 8,450 square feet of modern conference space. Golfers need only stroll a few steps to the Reserva Conchal Golf Course, a championship challenge designed by Robert Trent Jones, Jr. Sports enthusiasts can also divide their time between tennis, fitness activities, nature walks, surfing, kayaking, snorkeling, and swimming in Central America's largest lagoon-style pool. Anyone needing a break from work or play can visit The Spa—guaranteed for a quick and blissful recovery. There are no reviews posted at this time.